Only trouble is, this isn't a portrait of the Ba'al Shem Tov. 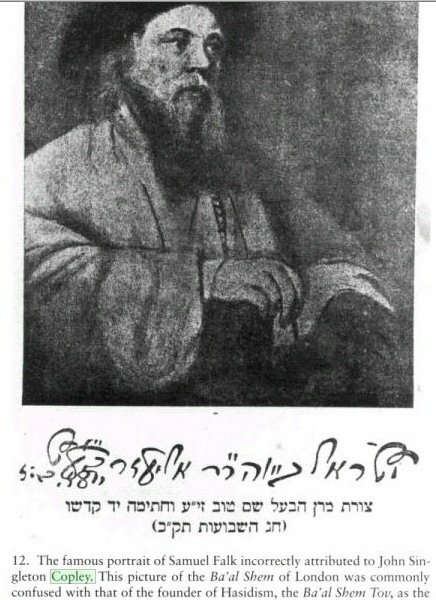 It's a portrait of Hayyim Shmuel Yaakov Falk (1708-1782), the so-called Ba'al Shem of London. A copy of this portrait has been widely circulated as one of the Besh"t (there is no such portrait) for a very long time. What should a non-kabbalist do about kabbalah? English Hebraica updates here and here. 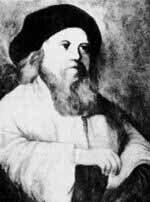 What did R. Yisrael Salanter look like? What is English Hebraica about? "was educated as a Jew" vs "was a Polish Jew"
What is a yeshiva parent to do?